Originally published in 1940 in two parts, this is the (partly eyewitness) account of the Leninist terror inflicted upon Russia during the revolution after 1917. Exiled, he wrote this incredible volume. 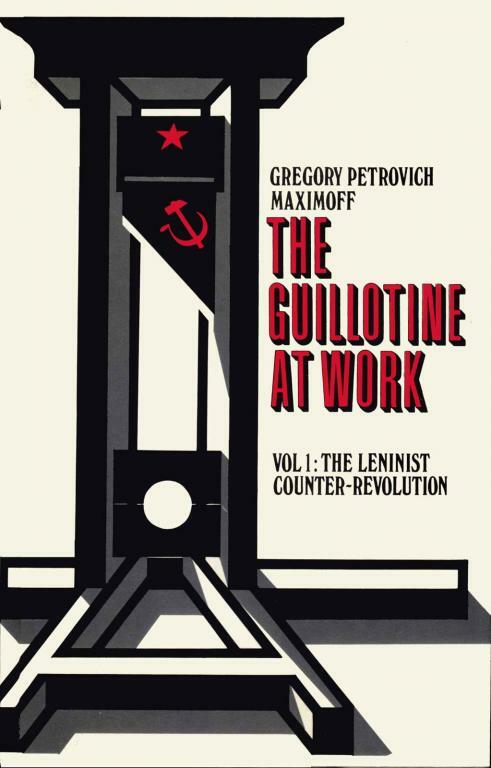 Over the course of nearly 400 pages, he recounts not only the Leninist terror and reaction against the popular revolution, but shows how the actions of Stalin followed deliberately in his master, and mentor's footsteps. Attach below is both an original version PDF, published by the Alexander Berkman Fund, and a PDF of the Cienfuegos Press version. A pdf copy is really essential. Excuse me, is there an italian edition? So apparently the mobi and epub versions of this are formatted incorrectly (someone on twitter got in touch to say). Not had time to look myself yet but has anyone had a look? The .mobi version downloaded as a .txt file. The .epub downloaded as a .txt & .zip file . Neither of my epub/mobi reader programs could read them correctly. Yes, this was my complaint. The fault must have been with the hardware/software on my end, because now the epub is working well. Any chance we can get part 2 in epub?